Music All CDs $17.00, includes postage and packaging. 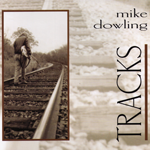 Tracks is Mike Dowling at his solo acoustic best. Eleven cuts, ten played on resonator guitars, with a mix of tunes from artists as diverse as Mississippi Fred McDowell and Irving Berlin. And Mike Dowling. 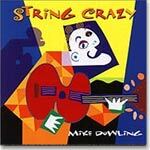 Vocals and instrumentals interpreted beautifully and soulfully by Grammy-winning Mike. "This CD is one of the best recordings I have ever heard." -- David Chamberlain, WRFG FM, "Sagebrush Boogie", Atlanta. Includes:World of Hurt, Train I Ride, The Cuckoo, Big Island, A Face in the Crowd, Tennessee Blues, Tracks, My Walking Stick, Wild Rose, Just a Little While, Heart of the Heartland. To buy the CD directly from the artist, download order form here. 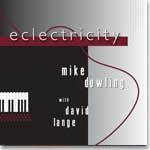 An instrumental gem of lush, jazzy, melody-driven compositions from Grammy-winning Mike. With guest artists John Miller (guitar), Orville Johnson (mandolin), Grant Dermody (harmonica), and Cary Black (bass). "The Blues Ain't News is spectacular. The picking is impeccable, and not just the guitar -- each of the backup musicians stays right in the pocket, they bring everything into focus and sound wonderful without distracting. And the vocals, wow, very rich, warm and soulful, as good as I've heard. 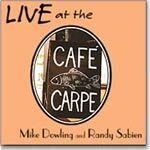 This is a very great acoustic album; the sound rivals the best stuff that I play on my show." --- Chris Powers, WORT, Madison, Wisconsin. 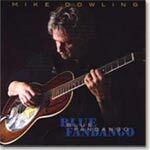 A stunning collection of solo guitar instrumentals and vocals, Blue Fandango captures the extraordinary range of Mike's talent, from his hauntingly beautiful rendition of "Maria Elena" to the Reverend Gary Davis' raucous "Trying to Get to Heaven". Includes: Blue Fandango, Keep on Trying, I Hope Gabriel Likes My Music, Street Corner Rag, Tryin' To Get To Heaven, Midnight Hour Blues, Carinhoso, Marie Elena, I Hate Myself (For Being So Mean To You), Things is 'Bout Comin' My Way, Steamboat Bill, Stompin' It, Hard Times. 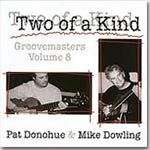 An instrumental gem of guitar duets recorded with fingerstylist Pat Donohue. Includes: Drive Time, K.C. Man Blues, Novocaine, Last Train Whistle, Guitar Blues, My Honey's Lovin' Arms, Creepin', Wild Rose, Fishin' in the Wind, Two of a Kind, World of Hurt, Blues City, Java Buzz, Siboney, Gee Whiz. 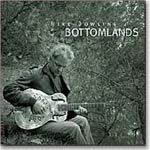 Mike's solo instrumental CD, Bottomlands, contains all original or originally arranged compositions played primarily on resonator guitars. Includes: Wild 'Bout It, Rocky Road, Johnson City Rag, Swamp Dog Blues, Backslidin', Bottomlands, Shufflin', Jan's Song, Nitpickin', Bottleneck March, Amazing Grace, Rosalie, Hard Times. 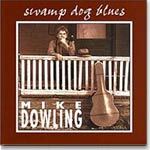 "A delightful collection of traditional blues and ragtime by singer/guitarist Mike Dowling. Dowling is a fluid and precise guitarist and his gritty vocals have a sense of playfulness and bounce that' s very appealing. 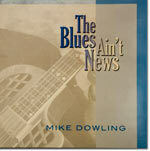 A fun, uptempo recording, that shows blues doesn't have to be down and depressing to be enjoyed." “How can a guy who is so in control, who plays with such a beautiful sound, display such excitement and fire? He plays the living daylights out of the guitar.Good job, Mike.” – Tim O’Brien from the liner notes. 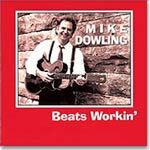 Recorded in Nashville in 1991, Beats Workin’ features a band that includes Vassar Clements and Paul Anastasio on fiddle, Mark Schatz on bass, and Bob Hoban on piano.